integrated import filter and export filter for DXF files as standard. The import of DXF files makes the design of exterior and interior contours possible without restrictions, which means that the design of front panels is not limited to simple geometric shapes. Consequently the design of components of any shape is possible, which may be of interest in the fields of model making, mechanical engineering (prototype construction) and design. An additional feature in Version 4.0 is the capture function at the reference point for example, which allows elements to be positioned even more comfortably and quickly on the front panel. 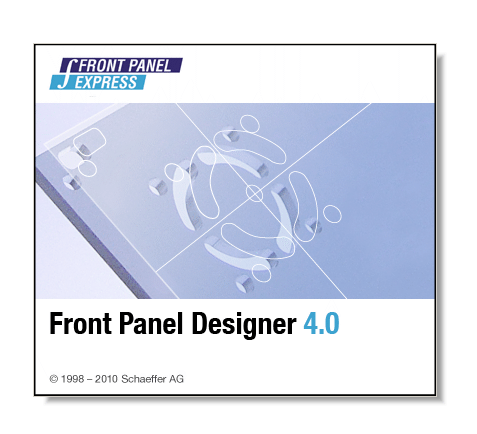 The Front Panel Designer user interface has also been revised in Version 4.0. * With just a couple of clicks you can place multiple features directly onto your project, for example, drilled holes, rectangular cut-outs, cavities, colored engravings, etc. * Front Panel Designer provides what is needed to easily create custom-designed front panels and enclosures. Convenient ordering. Finish your design and place your order directly from Front Panel Designer. No e-mails, no conversions, no uploads,…, no hassles.